With the new safety input and output terminal, Kendrion Kuhnke Automation not only expands its product portfolio, but also enters a new league in the automation field. After gaining experience over almost 40 years and establishing itself as a major player in the field of electronic automation technology, the company finally presents its first product conforming to the strict requirements of functional safety. Safe functionality according to the Machinery Directive is a must-have in modern machine technology. For this reason, Kendrion Kuhnke Automation has joint with other medium-sized companies in Germany to take this vital step forward. 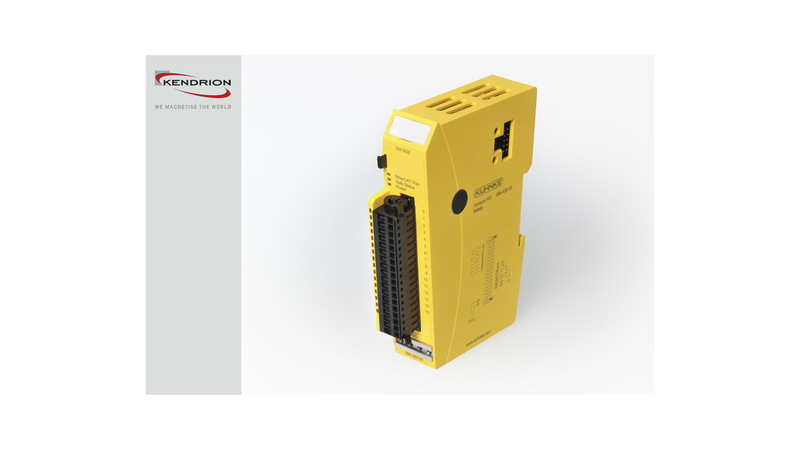 As a new product of the proven Kuhnke FIO series, which is well established on the market, the «yellow» I/O terminal is operating via the safe EtherCAT®-Protocol (FSOE) and can be integrated anywhere within this modular I/O system. The new Safety EtherCAT terminal Kuhnke FIO Safety I/O 4DI/2DO is a digital input and output module with four safe input channels and two safe output channels. The digital inputs connect to sensors with floating terminals. The failure-resistant outputs switch 24 V DC actors with a current of up to 2 A per channel. If the EtherCAT terminal detects a failure, it switches off automatically (fail stop). The FIO Safety I/O 4DI/2DO conforms to the requirements of IEC 61508 SIL 3 and DIN EN ISO 13849 PL e. Besides this new safety module 4DI/2DO, a safety PLC and additional safety I/O modules will be included into the product portfolio of Kendrion Kuhnke Automation. On request, these modules are also available as custom-designed solutions tailored to a specific machine.